Sometimes these days, in a crowded American airport, travel can seem anything but glamorous or luxurious. That’s why, in my work as a hotel designer, more than ever I strive to reach back and resurrect the romance. Personally, I can’t think of travel without thinking of leather. My first voyages were on trains, boats and planes with generously-proportioned seats and handsome wall panels upholstered in leather. Leather brings to mind bellhops hoisting handsome valises and leather-strapped steamer trunks, briskly escorting arriving guests through Belle Epoque train terminals and elegant hotel lobbies. For thirty-five years, I’ve relied on leather to bring back some of that romance to modern settings. 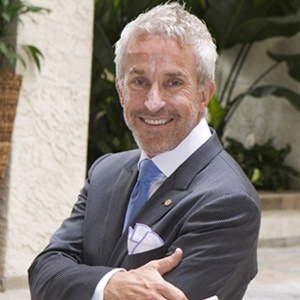 I’ve designed the interiors of several yachts and private aircraft in custom-made leathers. Back in the disco days of the 1980s, I once even upholstered a chair entirely in gilded leather as the focal point of a private client’s DC-9 cabin. 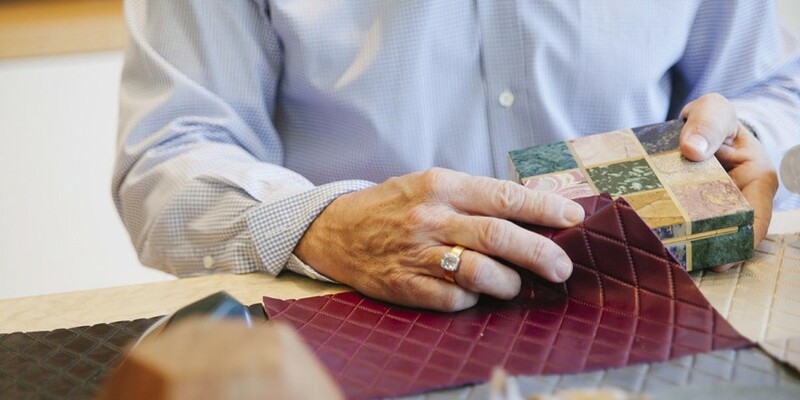 At Wynn Resorts, we aim to set the highest standards for luxury, and we love leather for its durability but even more for the sense of luxury and the way it makes our guests feel. I’ve always loved to use leathers from Moore and Giles. The quality has been superb, the coloring evocative. The company’s level of service has always been amazing. So it is a distinct honor and pleasure for me to introduce my own collection for the company. I hope my designs (which you can see examples of below, or in the full range of colors here) evoke for you magical dreams and memories of travel the way it should be. As I’ve worked on this collection, I’ve been thinking about cruising a cliff-hugging coastline road, perhaps in a fine old Jaguar convertible upholstered in supple leather; of course there’s a well-worn weekend bag tossed in the back seat, or perhaps a Pullman suitcase belted to the luggage rack. I’ve kept in mind scenes in old movies, where a couple dines with champagne and candlelight in a beautifully-upholstered dining car before retreating to their private compartment. I’ve imagined ocean crossings between the wars, on liners like France’s legendary S.S. Normandie, where the top suites each offered passengers their own baby-grand pianos. Putting this collection together has been a wonderful journey of ideas and memories for me. I hope it proves worthy of the most evocative settings you can imagine for yourselves and your clients.